Does the name sound familiar? It's because this tomato plant boasts all the great traits of the old favorite, Celebrity, but performed even better in our gardening trials. 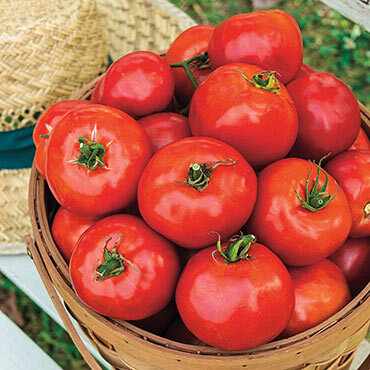 Each attractive fruit comes in at 8 oz, with a crack-free, bright red exterior that resists both drought and disease. It's deeply flavorful, and with huge yields, too--so be sure to bring your Gathering Apron when it's time to harvest, because you'll need the extra room! Celebration will quickly become a new favorite in your garden. 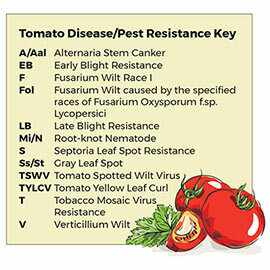 Resistant to: Fusarium Wilt Race I, Tobacco Mosaic Virus Resistance, and Verticillium Wilt. Determinate. 72 days to maturity.